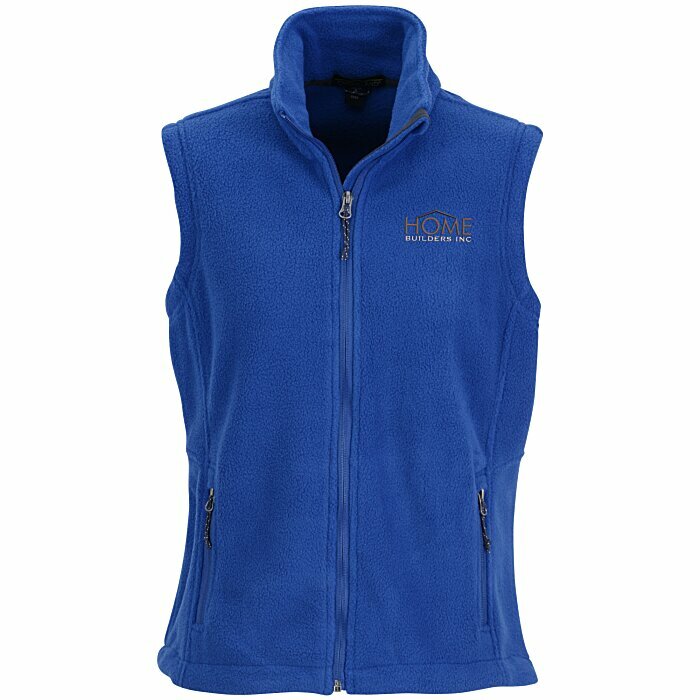 Clothe them in your custom company logo! 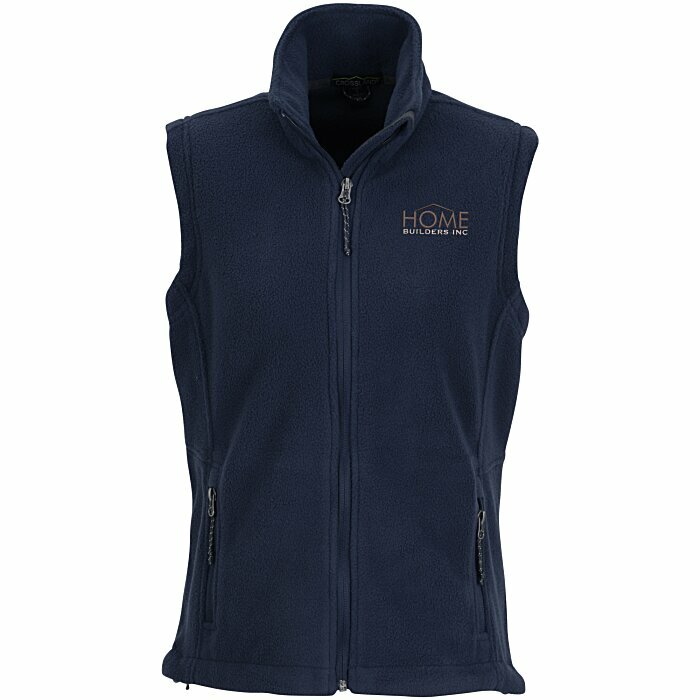 Add an extra layer with this logoed, full-zip vest. 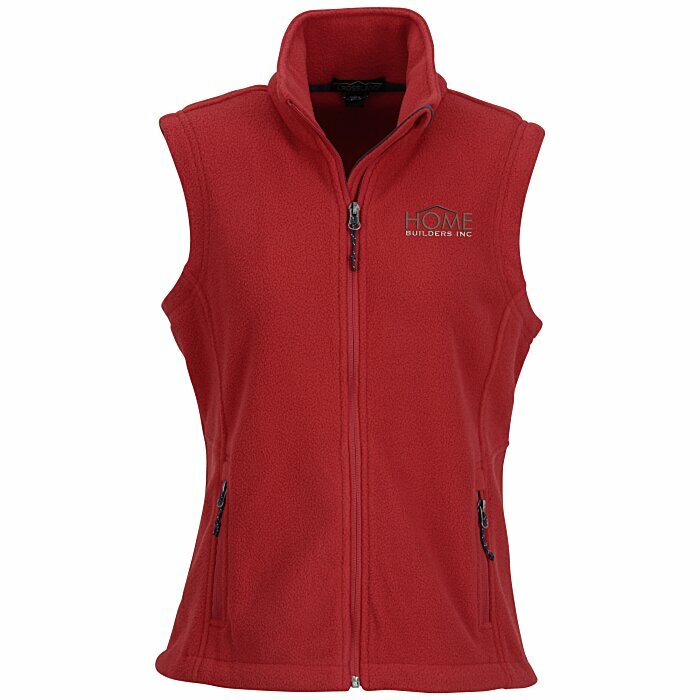 This Crossland® vest is made from a 13.8-oz, 100% polyester fleece material. Store personal items inside a pair of front zippered pockets or inside a pair of interior pockets. 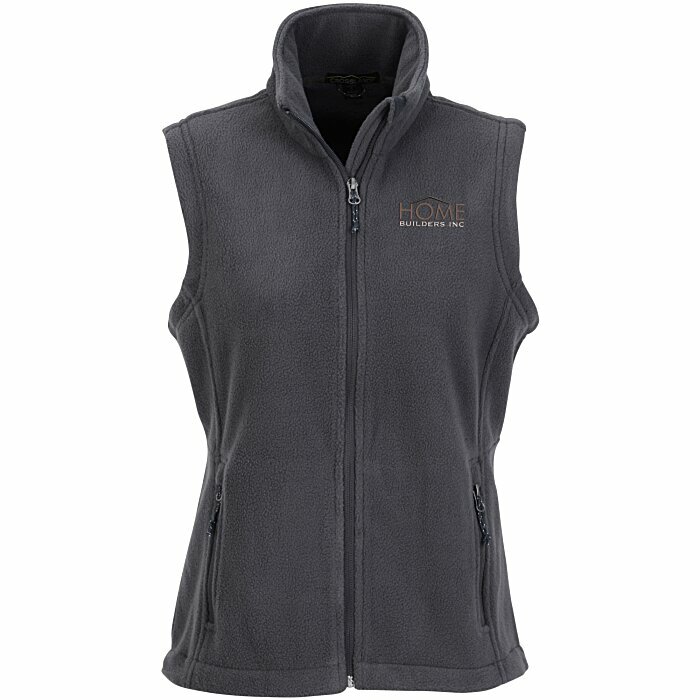 Vests include an open hem with an adjustable drawcord for a customizable fit. 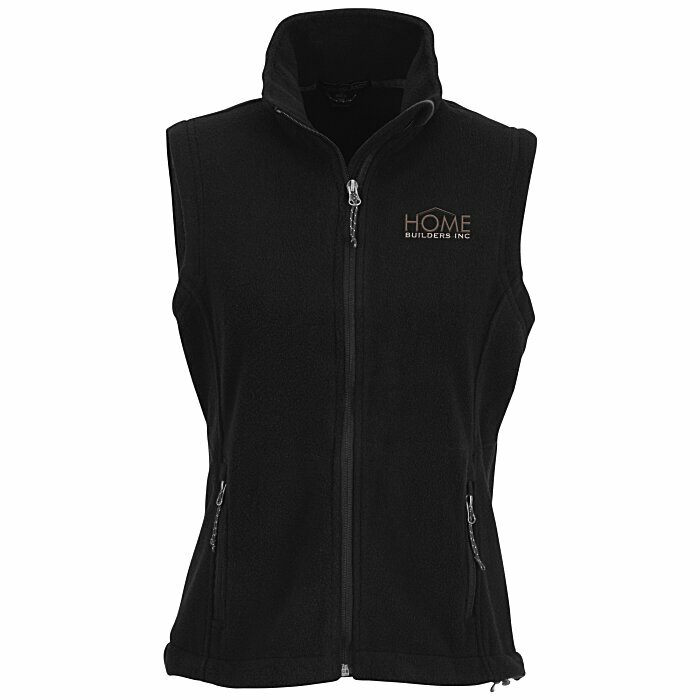 The full-zip design features a reverse-coil zipper, a chin guard, tricot-lined armholes and twill neck taping. 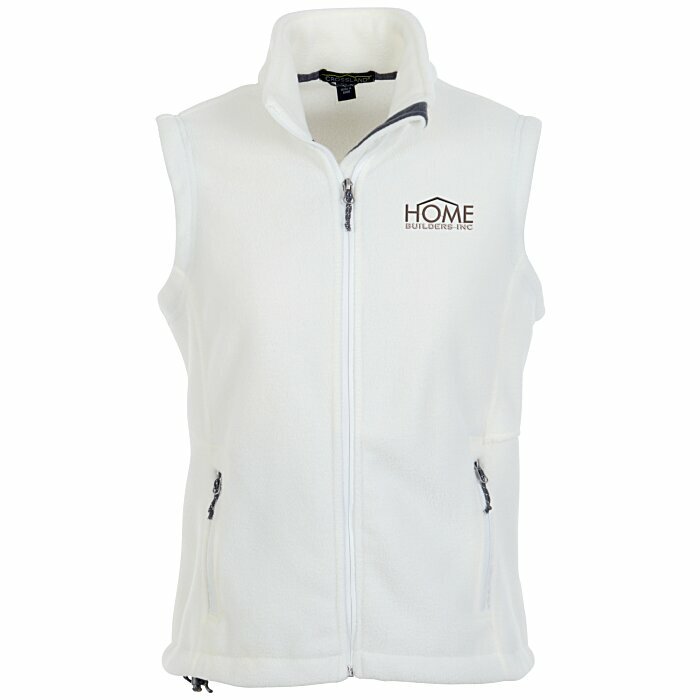 Vests are designed with a contoured silhouette to fit the female form.